The producers of our award winning film “HUMPBACKS- FROM FIRE TO ICE” onboard our expedition vessel the Princeton Hall in Juneau, Alaska ready to head out on expedition. 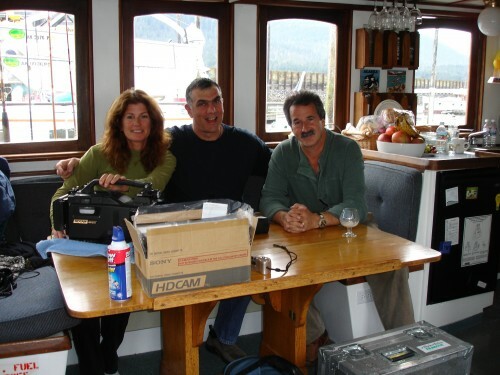 The producers Michelle Addington, Ross Isaacs and Stan Esecson. 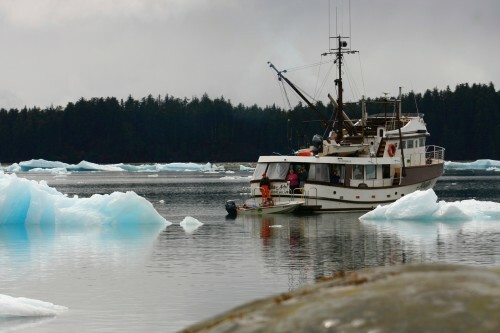 Our expedition vessel Alaska Adventurer in an ice berg field not far from the Le Conte Glacier in South east Alaska. 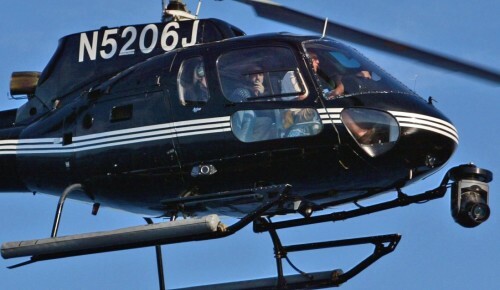 Executive producer Stan Esecson directs aerials with Cineflex camera system on outside of the helicopter. 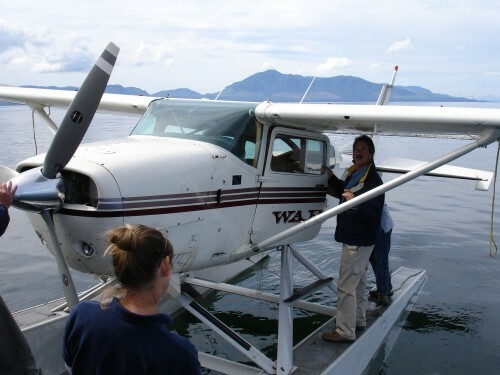 Executive producer Stan Esecson flies out from the expedition boat in South East Alaska. 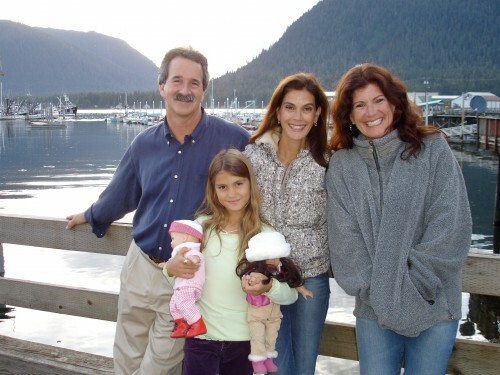 Stan Esecson, Emerson Tenney, Teri Hatcher and Michelle Addington ready for our filming expedition in South East Alaska.